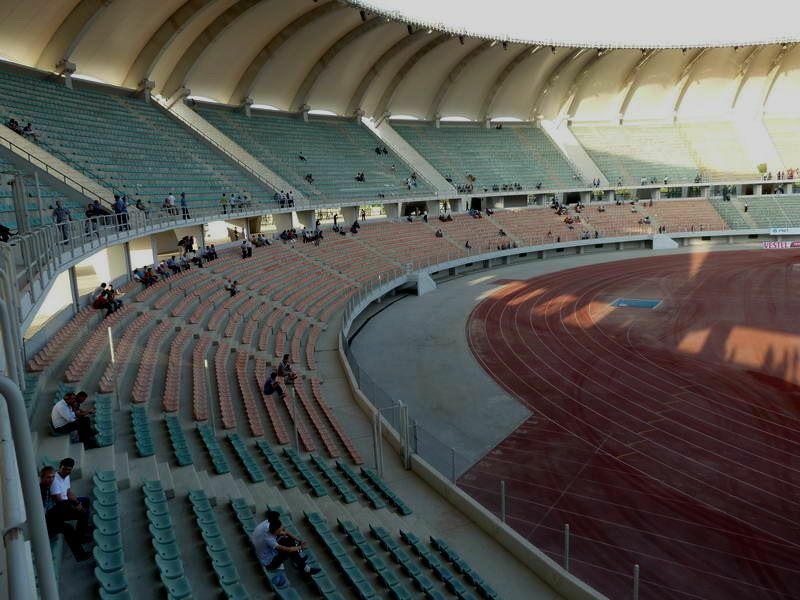 Though called Olympic Stadium, it had nothing to do with actual Olympics. 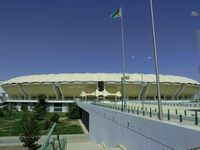 Turkmenistan was never considered and shows no signs of bidding for this event any time soon, partly because of its totalitarian regime. 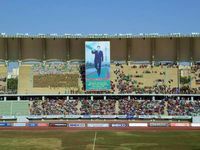 Ironically, this stadium is a good example of the regime’s ideas. 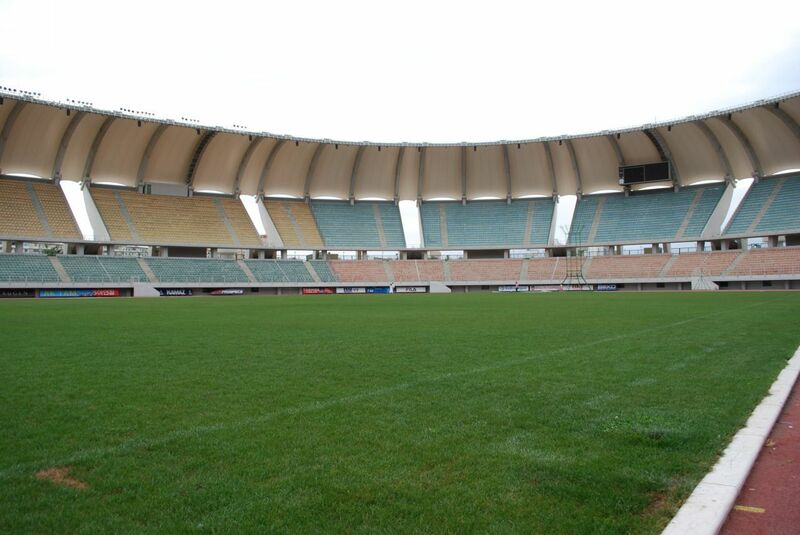 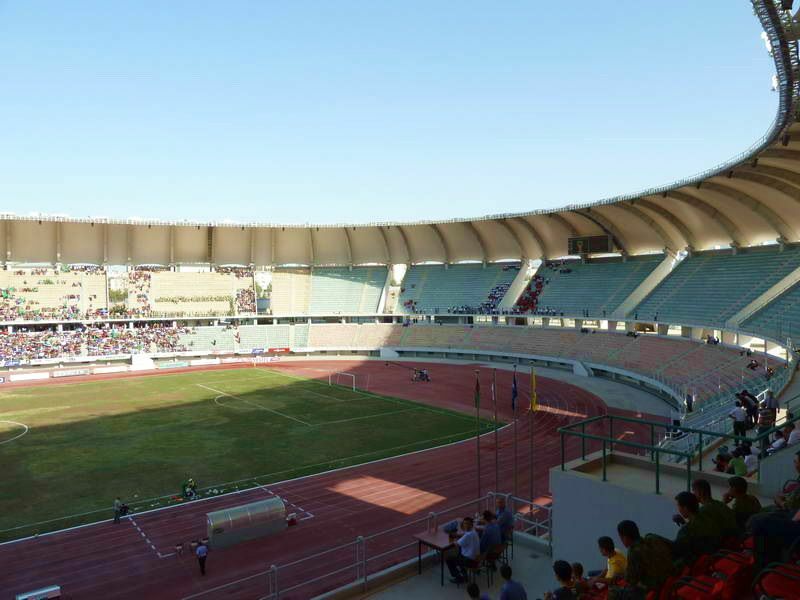 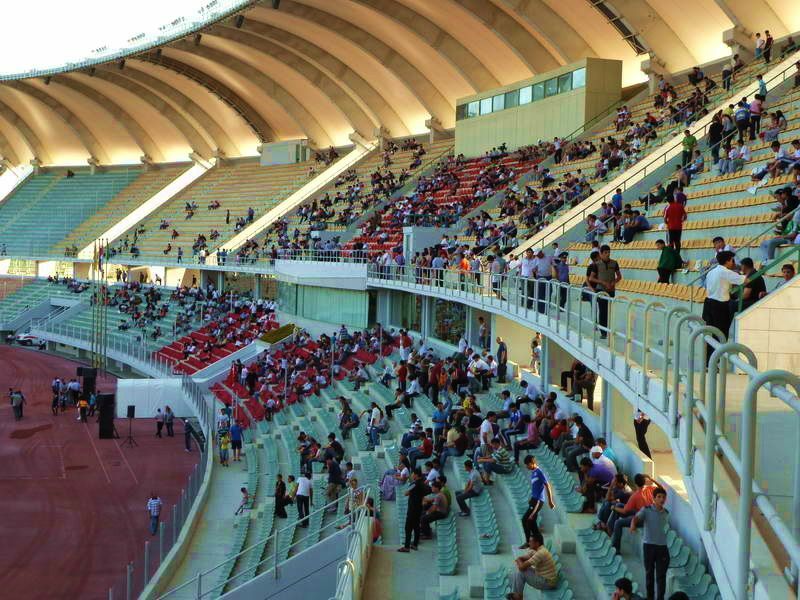 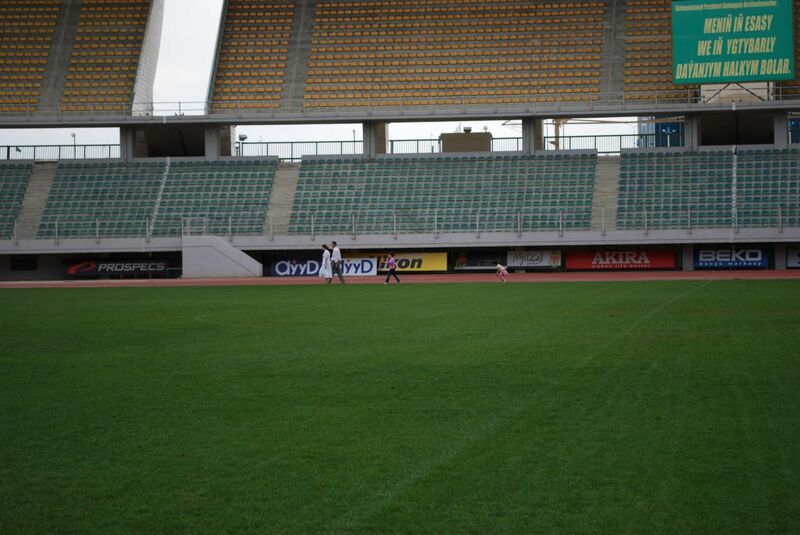 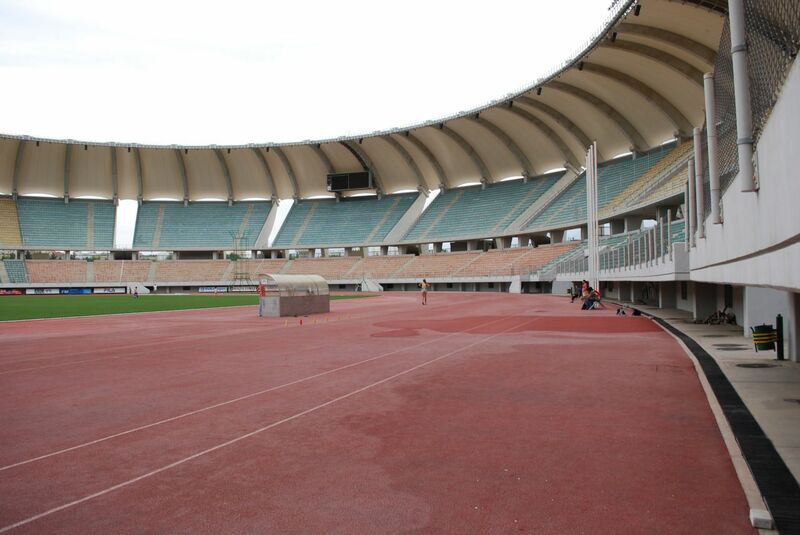 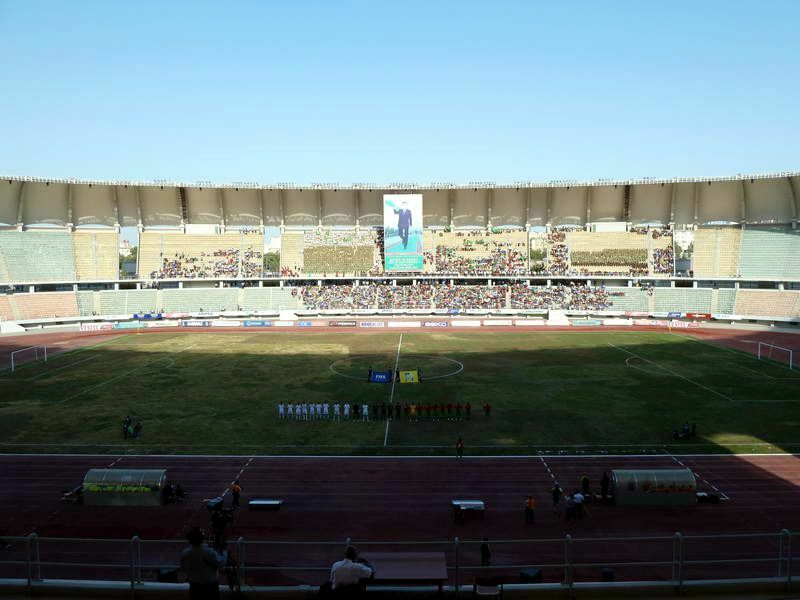 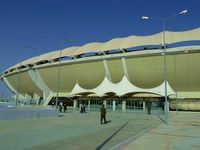 Opened in 2003, it was already the second big stadium in the capital and larger than needed. 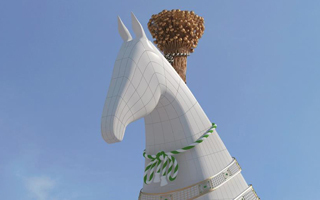 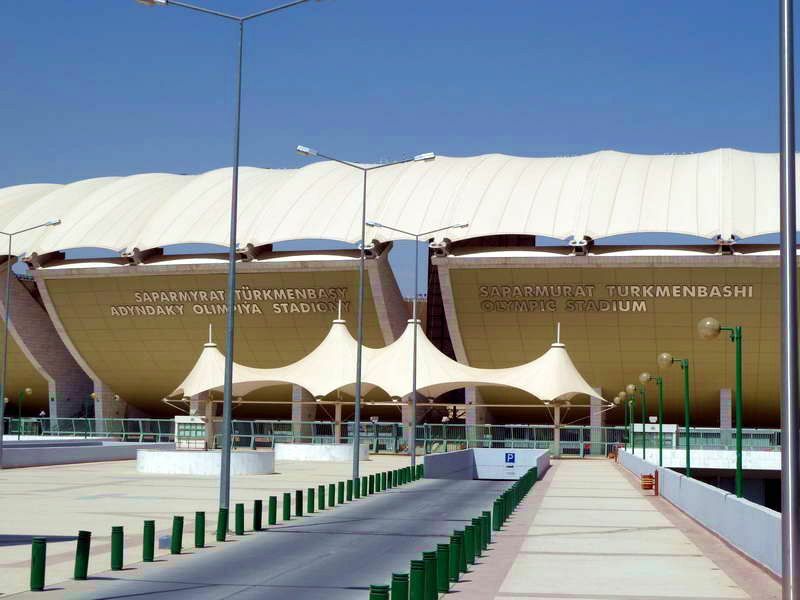 It stood along the main avenue of Ashgabat, the Turkmenbashi Ave. and was also called Turkmenbashi’s name (Turkmenbashi is the “Father of Turkmen”). 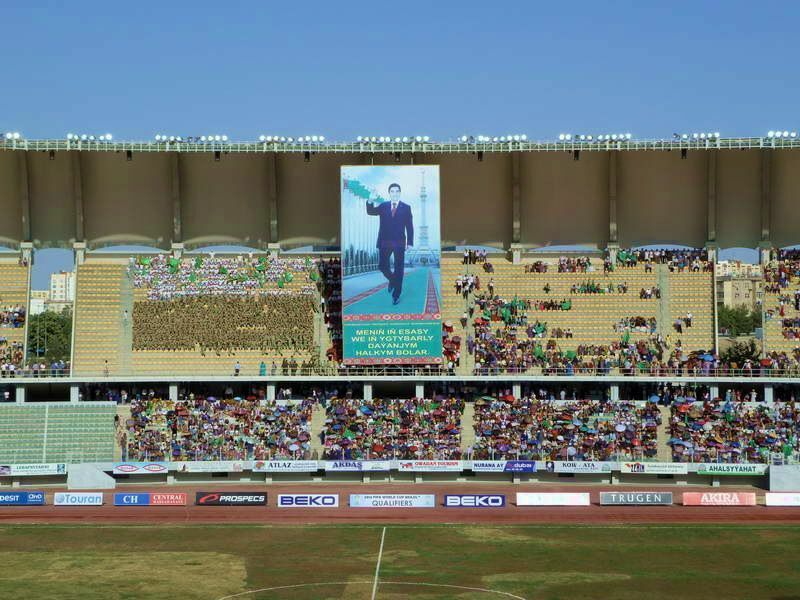 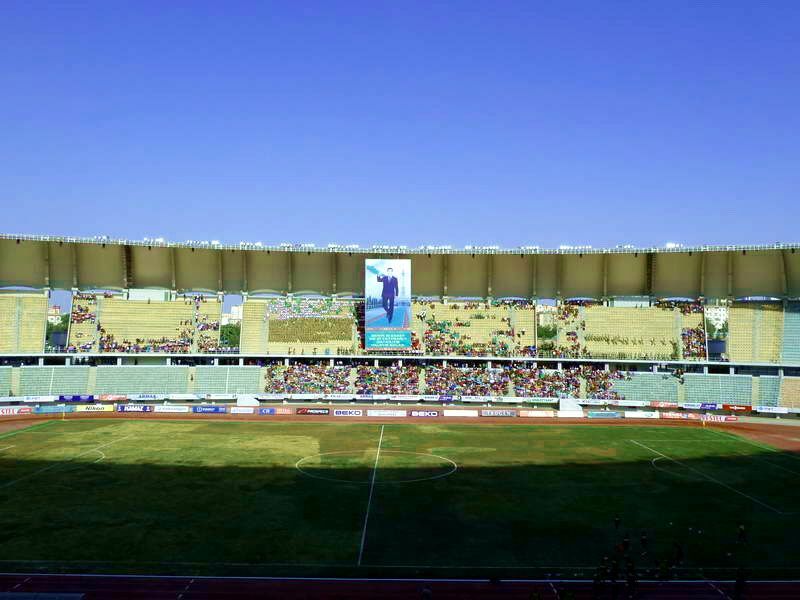 And just in case anyone still wasn’t convinced who this ground celebrates, a massive banner of Turkmenbashi was hanging inside. 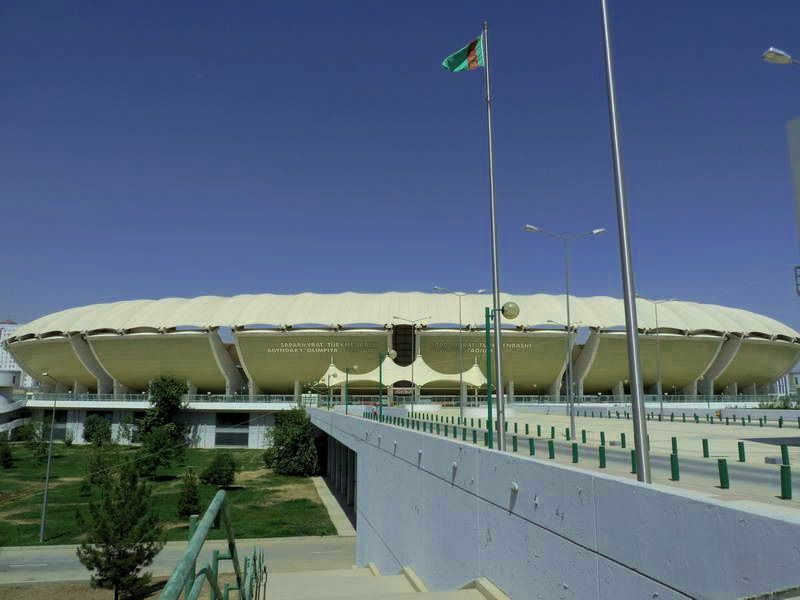 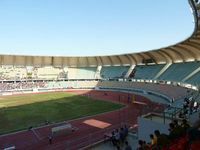 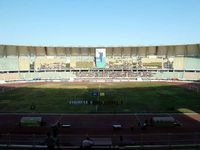 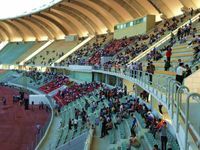 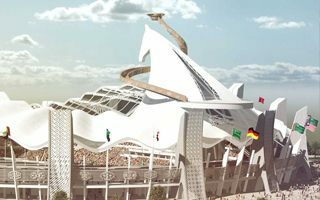 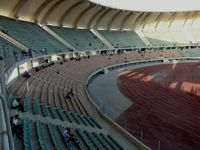 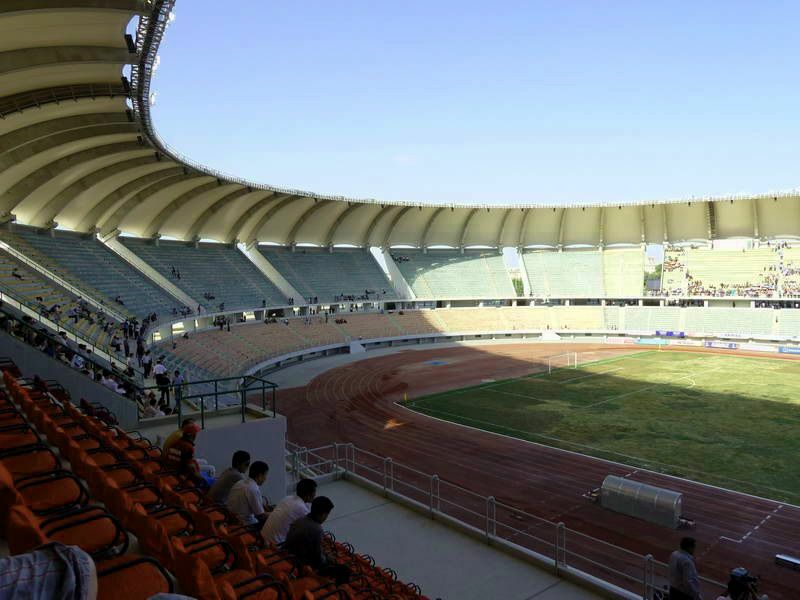 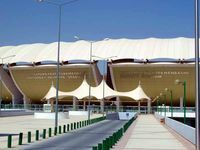 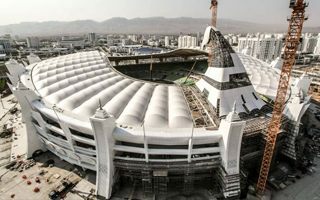 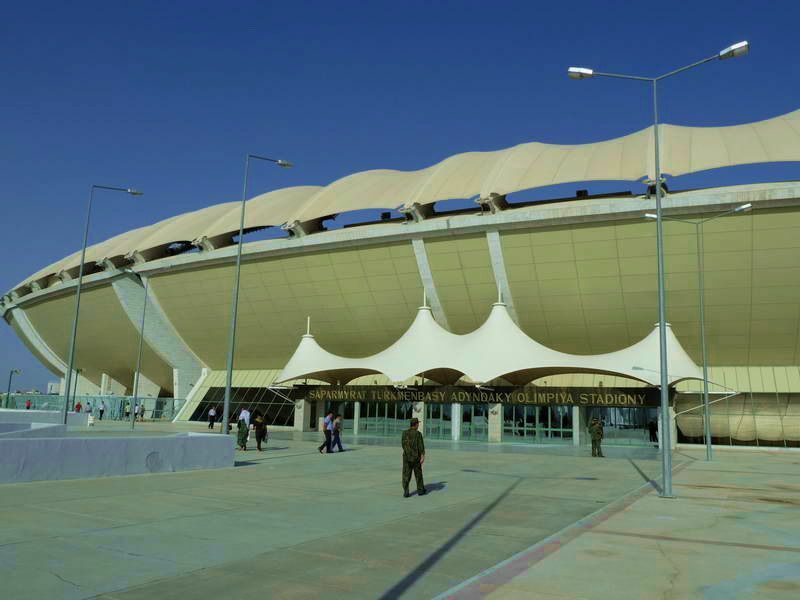 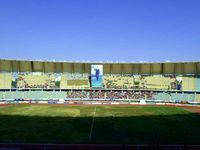 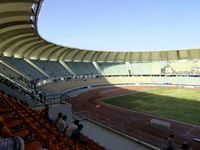 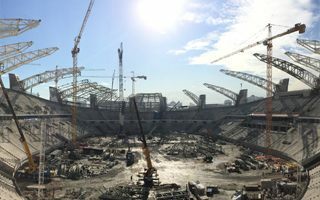 Despite this stadium being bigger than Ashgabat or Turkmenistan needed, there it was demolished just 10 years after completion to be replaced by a much larger one, able to hold 48,000 people. 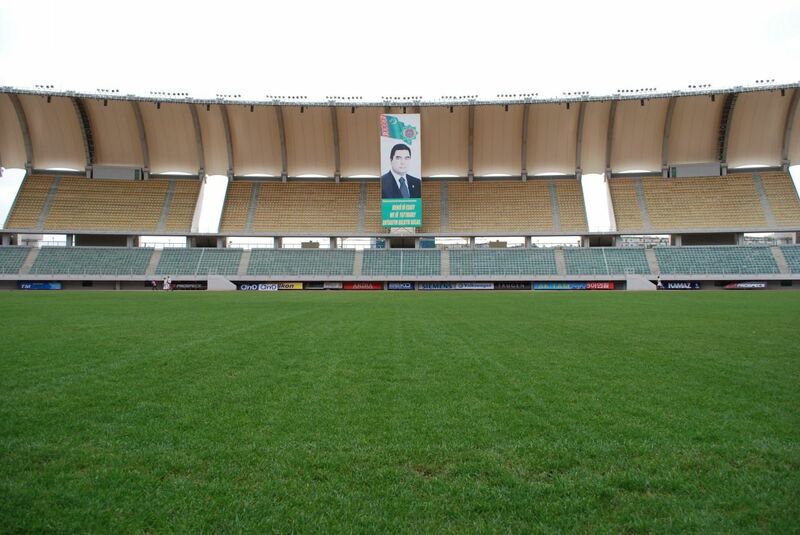 The successor is to be delivered in 2016.